Woohoo, it's Thursday people and I'm posting twice this week! I mean dang, I'm getting stuff done! And by stuff, I don't mean laundry, um, let's not talk about it. By stuff I mean, blogging a little (I have priorities, people I miss you guys), teaching classes, training clients, shuffling kids to and from school and drinking cups of coffee the size of my head! 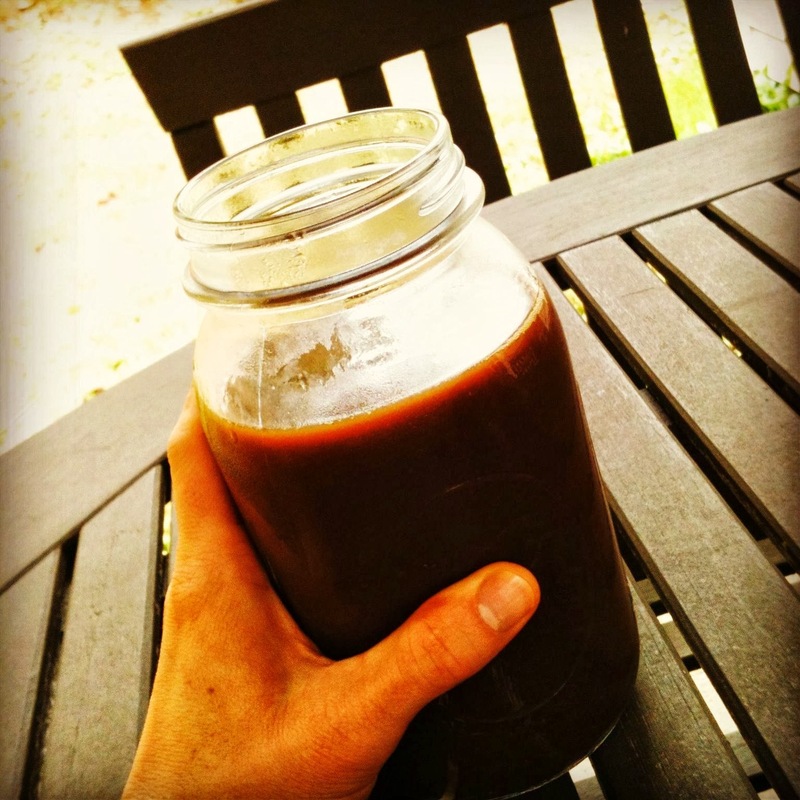 Yeah, don't we all drink our iced mochas from quart sized mason jars? Well, those of us that get up at 4:30am during the week do...and then we are WIRED for about 3 hours, but dang those 3 hours feel great! Hello legal addictive stimulant! Spray a donut pan and/or small loaf pan with cooking spray. Preheat oven to 350 degrees. To glaze or not to glaze...that is the question?! We are a mixed family here. The guys like glaze because, you know, more sugar. I like baked donuts without glaze for dipping in my coffee. Mix everything together until thick and smooth. Glaze slightly cooled donuts. I will be sharing these on next week's Slightly Indulgent Tuesday and Allergy Free Wednesday. So, how is everyone's week going? It's crazy here, but that's not different from any other week. Who has fun plans for the weekend? Homemade donuts are the jam - so delicious!! And I guess I spell it donut since that's what I just wrote out - lol. What sort of chia gel/flaxseed substitution amount do you use for eggs? I'm so intrigued by these donuts. I've been jonesing for donuts something fierce! I'll have to figure out a sub for the all purpose gf flour because I'm also potato-intolerant, but I'm working on reliable and viable subs for potato starch/flours. So tricky! 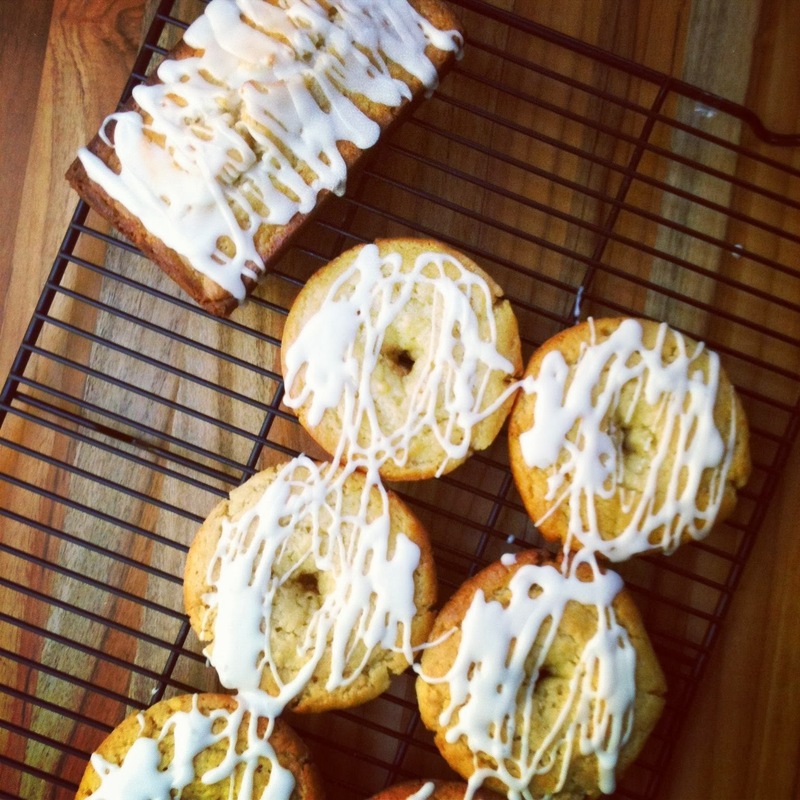 I don't think many things sound more delicious than apple-spiced doughnuts! Now I'm even happier that I FINALLY bought a doughnut pan! Hi friend!!! Oh those donuts........ and what I wouldn't give to come visit your cute family and sit and have coffee with you. HUGS and have a wonderful weekend! Whne are we racing together? He he. Oh this looks awesome! I love all things apple and donuts. Do you think it would work with coconut milk or rice milk? Thanks! Yes Luke. I think it would work well with both. Hope you enjoy them! These donuts look phenomenal!! I STILL have yet to make my own. What's the deal there?!?! Okay, I am going to go downtown this WEEK and get myself a donut pan. And that's that. My family would FLIP for these - especially for breakfast. Thank you for a great recipe!! Hugs to you lovely lady. Oh I would totally take coffee and doughnuts just about now. Sounds perfect! And I can't wait to share these with my GF friends. Thank you for sharing them with us! The last time I have a donut, OHHH MY! Your donuts are making me want one though! Sad day in the neighbor hood because I cannot. What's tagatose like? I have some, but I just dont know what to use it in (cause I don't bake much). OMG these look so good!! Made these for my daughter (who can't have milk or soy) and me (who can't have wheat or corn) and they were wonderful! We increased the cardamom and used Namaste Flour and it was awesome! One thing, eggs (or substitute) was mentioned in ingredients list, but not in the instructions. I added them to the wet ingredients, but thought you should know. Thanks again! Finally an affordable homemade yummy donut we can have!! Yay, I'm so glad you two loved them Cathy! I corrected the recipe instructions. Thank you for letting me know! Friday Fodder and Daiya Winners! Low Sugar Cheesecake and NuNaturals Give Away!